You are currently browsing the Archaeofacts.com archives of Musings for the day Wednesday, September 26th, 2018. 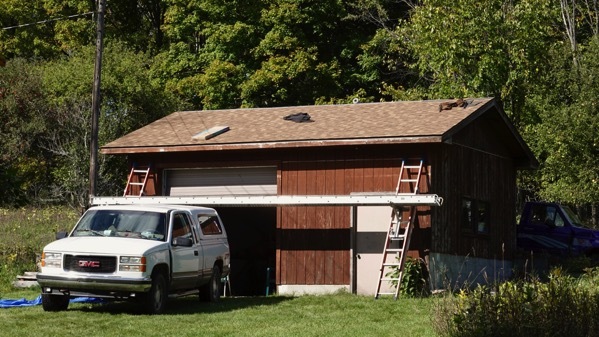 One big to-do from our 2018 list has been: get garage roof re-done. We were despairing as we talked to the roofer (second job), starting in, was it February?, and, just weren’t connecting. We talked to him yesterday, and he said, geeze, kinda late in the year for me to have a window given the weather, blah-blah, so, geeze. Then, his boss said, no work tomorrow (meaning today), so presto, we were on the possible list and very excited! Then, the morning was solid overcast and rainy and not workable roofing weather. The guys came, then went to breakfast, returning later. By the time the day was over, howEVER, we have a complete new roof, all done! Ready for winter. Yay! On another front, we hosted the relatives tonight. 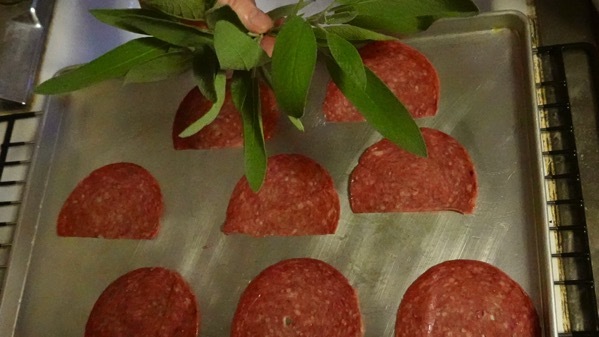 Here, I’m building chicken stacks that include sage leaves and hard salami…came out great! 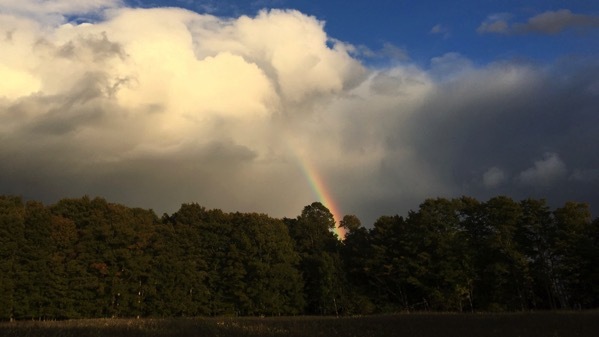 And, as we enjoyed our celebratory meal: a rainbow!